Deciding which CPA review course to use to help you pass the CPA exam is the most important decision you will make to be properly prepared. All the CPA review course companies claim to have the best product, but picking the wrong prep course could cost you hundreds of valuable study hours and thousands of dollars. Bottom line: you need to find the right CPA exam study materials that best fit YOUR learning style. What’s the Best Online CPA Exam Prep Course? Top 11 Best CPA Exam Review Courses (CPA Study Materials) Comparison Guide! What to Expect With Surgent CPA Review Courses? What to Expect With Roger CPA Review Courses? What to Expect With Becker CPA Prep Course? What to Expect With Gleim CPA Review Course? What to Expect With Fast Forward Academy CPA Prep Courses? 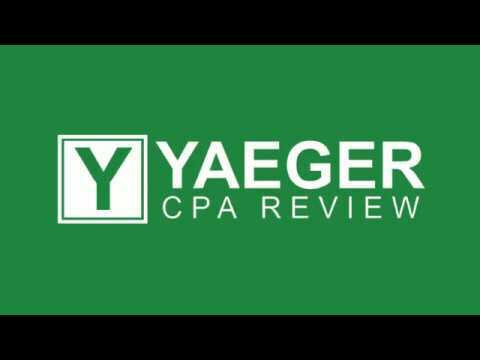 What to Expect With Yaeger CPA Review? Which CPA Course Has the Best Video Lessons? Which CPA Prep Course Has the Most Practice Questions? Which CPA Prep Course Has the Most Task-Based Simulations? Which CPA Courses Offer Discounts & Financing Options? Which CPA Course Has the Best Student Support? What are the Best CPA Exam Test Banks? What are the Best CPA Exam Cram Courses? The best CPA review course is the one that will help you pass all four sections of the CPA exam, as outlined by the AICPA, as fast as possible. We all learn differently. Some people learn best in a classroom setting, while others learn better going through the material on their own. 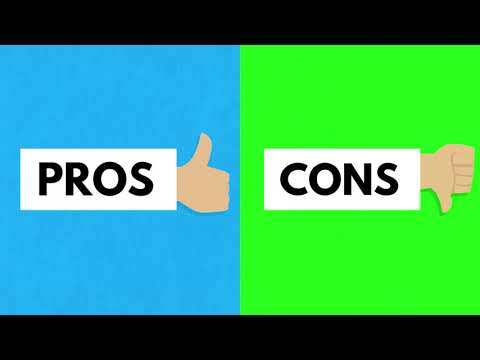 To find out the best CPA review course for you and your way of learning, check out my comparisons below. The CPA Exam Guy website was created to help you find a CPA prep course that not only covers all the important information, but also the one that best fits your personal learning style. I also hook you up with HUGE discounts, so make sure you check out my promo codes below. These are the best CPA prep courses to help you pass the CPA exam on your first try! With the Surgent CPA Review Course, your materials are trimmed down to the essential topics. This reduces the number of hours that you will have to study for your exams. This course is taught by instructors who have over 20 years of experience teaching CPA exam prep. The company released an updated platform and the 2.0 version really pushes Surgent into the top echelon of CPA prep courses. Surgent CPA Review courses have a strong lineup of instructors who are experts at teaching CPA exam candidates. Combined, they have more experience in the industry than any other CPA review companies on the market. Your instructors, Liz Kolar (25 year CPA exam prep instructor) and Jack Surgent (leading CPE course provider with 20+ years of experience) created Surgent CPA Review Courses with the vision of making the study process more efficient than other established CPA exam review courses. They offer insightful strategies and study tips in their video lectures that they have accumulated through many years of teaching. I really liked how the videos were concise and to the point, making it easier to absorb and retain information. You’ll find that Surgent’s CPA course is extremely easy to navigate through and you’ll be cruising in and out of lessons with ease thanks to the revamped dashboard design that Surgent created. This is something with which other courses struggle, so it’s great to see one course put a lot of money and effort into making the prep program easy to use and intuitive. Their course comes with an UNLIMITED access, so you’ll never have to worry about the materials expiring until you have successfully passed. They offer a Money-Back Guarantee which proves just how confident they are in their product. This offering was completely revamped into a new platform, and 2.0 is really something worth considering when buying a CPA review course. You even have the option to sign up for a 5 day trial, just to get familiar with the course before making any buying decisions. Who is Surgent’s Course Best Suited For? I would recommend Surgent to you if you are a student who prefers the convenience of studying at their own pace from guided video lectures. If you are looking to pass the CPA exam quickly by studying more efficiently, Surgent would be a great fit for you. Take $700 OFF Surgent CPA Review’s premier course! Q: Will my Surgent course be compatible with smartphones and tablets? A: Yes, all of Surgent’s course features and CPA study materials are compatible with most smartphones and tablets. The only electronics that don’t support Surgent’s software are Kindle Fire, Nook Tablets, and E-Readers. Q: What exactly is adaptive learning? A: Adaptive learning is a learning technology that Surgent incorporated into its software so it can quickly reveal your areas of need and automatically create a customized study plan that focuses on where you need the most help. The goal is to reduce study time and increase efficiency. If you are looking to pass the CPA Exam quickly, Surgent’s impressive adaptive software makes this the right CPA Review course for you. If you want an instructor that will keep you engaged with high energy and a passion for what he teaches, then Roger CPA Review Course is the perfect course for you. Do you find yourself less self directed, and needing someone to keep your attention? Do you need an instructor who can keep you awake through all the boring CPA material? Now, I’m not being sarcastic. It’s crucial for many learners out there to have a teacher that is someone with high energy. This is one of the main reasons why the Roger CPA prep course is one of my favorites. If you find yourself having a hard time memorizing terms then this may also be your best bet as Roger provides specific memorization techniques such as mnemonics. When you choose Roger for your CPA review course, you can expect to get over 120 hours of entertaining and informative video lectures. Roger Philip teaches each lecture with a lot (and I mean a lot) of humor and enthusiasm. His unique teaching style makes the material much more engaging and helps you stay motivated. Your Roger CPA review course software will also come integrated with SmartPath Technology. This new feature provides you with recommendations on where and how to focus your efforts by comparing your progress and performance to those that have passed the CPA Exam. This efficient tool can cut your study time down by hundreds of hours! Roger now offers CPA exam candidates UNLIMITED access to their online study materials. No need to worry about your course expiring, you’ll have your study materials for as long as you desire! Roger also offers free course updates to ensure you’ll always be studying with the most up to date content if/when any changes are made to the exam. Now, what about the financing options? The Roger CPA Review Courses now offer financing plans if you are a student on a budget. This is a fantastic opportunity because anyone who can afford to pay $149 a month now has access to the best CPA exam review course on the market! Who is This CPA Review Course Best Suited For? I would recommend this course to a CPA candidate who has a hard time focusing while studying. If you found yourself struggling to stay awake in some of your accounting lectures, then Roger CPA review will definitely keep you from falling asleep. If you also like to ask a lot of questions while you study, there is a homework help centre available to you around the clock. Roger’s CPA course is best suited for students who are audio and visual learners. There is an available audio version of the course, although you will have to pay an additional fee for it. 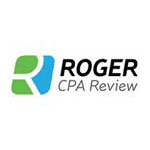 Get $315 OFF Roger CPA Review’s Premier Course! Plus get Unlimited Course Access with the Roger CPA Review Course Elite package for a limited time. Why Choose Roger’s CPA Prep Course? If you are lacking in the area of motivation and need someone who can get you pumped up about the CPA exam and keep you motivated, then this is the review course you are looking for. Q: How can I view the video lessons on my mobile devices? A: With Roger CPA review courses, you’ll have access to the lectures on your cellular phone, tablet, or mobile device. Many times, the videos are too large for 3G or 4G, so you’ll need to be connected to a wireless network. Q: What happens if I run into a question about my course—either the concepts or homework? A: Roger has an awesome Homework Help Center to answer questions regarding the CPA exam. You will most likely find the answer to your question in the massive bank of questions asked by previous Roger CPA students. Moderators are also available to help, as they can provide assistance on conceptual issues or topical questions. This service is meant to be a supplemental support to the content that’s covered in the lectures. If staying focused during boring accounting lectures is difficult for you, Roger CPA Review’s easy-to-follow and engaging teaching style will be the perfect fit. If there was ever such a thing as a “Smart Course” like we have “Smart Phones” and “Smart Watches,” then Wiley CPAexcel would be it. Wiley CPAexcel actually tracks your progress as you complete lessons and exams in extreme detail. This course’s adaptive learning software takes into account the time you are putting in and gives you details on areas that you need to improve upon, as well as keeping you on track for your exam date. This is an absolute winner for those who are constantly on the go. You can download your course to various devices and can study when and where you have time. Find yourself sitting on the bus, subway or other public transportation for an hour a day or more? If you do, then this course would allow you make those commutes MUCH more efficient. The structure of this course is best described as bite-sized topics. Each section is broken down into small 30-45 minute sections, which makes the CPA exam study process seem much less overwhelming. This is also great if you have a full-time job or a family and dont have the luxury of having large chunks of time to study. What’s the best part about Wiley CPAexcel? TONS of Multiple Choice Questions. Wiley’s Platinum course includes more than 12,000 multiple choice questions from previous CPA exams, which is more than any other course on the market. This allows you to get the repetition you need without worrying about seeing the same questions repeated over and over again. Once you buy a Wiley CPA prep course your access will NEVER expire. This unlimited access includes use of practice tests, videos, quizzes, and all other course materials. Wiley also provides free online course updates, so you’ll never have to worry about studying with outdated materials. You will not find live CPA classes with Wiley CPAexcel. Also, the student support is limited to a message board on which it can take up to 24 hours to get a response. If you learn best from human interaction or need one-on-one help, then this course might not be the best fit. Who are Wiley CPA Review Courses Best Suited For? Wiley CPAexcel is ideal for someone who has many other responsibilities and is a self directed learner who doesn’t need much interaction with an instructor. Are you working full time and have other responsibilities outside of work such as caring for an elderly family member, children or other such activities? This online CPA review course is broken down into smaller lessons that can actually be accomplished in as little as a half an hour. Which means you can easily go through a lesson on your lunch break if you are pressed for time. 20% Off Student Discount: If you are currently enrolled as a full-time or part-time college student, or have graduated within the last 90 days, then you are eligible for the Student Discount. Wiley CPAexcel Weekly Promo Code Offers: Find out what special discounts and promotions Wiley is offering this week, click the button below to find out! Get $500 OFF With Wiley CPA Platinum Course Today! Why Choose Wiley CPA Review? Wiley’s success rate for students taking the CPA exam is nearly 90%, which means there is a very high likelihood that you will pass IF you put in the time to utilize the CPA study materials provided for you by Wiley CPAexcel. Q: How often does Wiley update their CPA course materials? A: Wiley’s online CPA review course materials include free updates which are done at least once a year and also every time the AICPA changes the CPA exam content. Don’t be concerned about taking the test because of fears of new topics that aren’t included in the course because Wiley has you covered. Q: Do I need a CPA Review Course near me? A: Absolutely not! Wiley CPAexcel offers a Virtual Classroom Option for those who need “live” online CPA review classes that help keep you accountable (included with Wiley’s CPA Platinum Course). If you have a busy schedule and prefer shorter sized lessons then Wiley CPAexcel is the right prep course for you. Becker CPA Review is one of the most known companies for CPA exam candidates since it is sponsored by most accounting firms (including the Big 4) and universities. While this is great for name recognition, it’s a problem for CPA candidates because Becker has no incentive to change or update its software and content since it is guaranteed to get customers from accounting firms and newly graduated accounting majors. The Becker CPA Review course has one of the largest databases of exam questions and provides over 7,200 multiple choice questions and almost 400 task-based simulations for lots of practice. The Study Bank ensures that you won’t see the same recycled questions over and over again. Becker has live CPA prep course classes that have been reported to be less than helpful by many students, including myself. There is a benefit of having a live classroom setting to gain an understanding of CPA knowledge, but the viability of the course is dependent on the quality of the instructor. The Becker CPA Review restricts you to one type of learning style and does not offer audio courses. Audio courses can give you more flexibility in your study plan and let you quickly study during down time like commuting, doing laundry, or even at the gym. Check out some other courses that offer audio courses to get the most out of limited study time. The cost of Becker CPA Review courses can be scary. There are financing options for some customers who qualify and a few discount codes available. But still, it is the most expensive course on this review course list and far more pricey than any of its competitors. Who is Becker Best Suited For? The online course is a great option for you if you don’t want to be bothered with deadlines and want to work at your own pace, in addition to high-quality, easy-to-use CPA Exam materials. But, as I’ve said before, I think there are many other CPA review courses that do the job better than Becker. Why Choose This Prep Course? The Becker CPA Review course has a solid curriculum, course materials and instructors. If you’re a student who needs flexibility, as well as in-depth material, Becker’s online review course is the way to go. There’s also a 0% down, 18 month financing option available. I suggest using Becker only if someone else is going to pay for it, otherwise check out other review courses. Gleim CPA Review Courses offer comprehensive study materials that will take you through all the possible subjects that may show up on the CPA exam. Gleim’s CPA study materials cover every and any information you need to know.. However, their course is not for the faint of heart, as the comprehensive material can be a bit intense and overwhelming for some students. However, if you prefer a ton of information and do not want to leave any stone unturned, then this could very well be the right study guide for you. With Gleim CPA Prep courses, you will have access to many extensive practice tests. Gleim utilizes a variety of testing tools such as True/False quizzes, MCQ tests, Final Exam Reviews and Task Based Simulations to give you lots of practice for the real exam. The full Gleim review course includes over 9,200 multiple choice questions, which is significantly more than any other CPA prep course. Gleim’s complete course includes an audio lesson for each section of the CPA exam. These provide an excellent way to learn the material during non-traditional study times like driving to work, and can be easily downloaded to your phone, iPod or mp3 player. Gleim’s books are detailed and use a significant amount of technical jargon. Although many students prefer a highly comprehensive course, you may feel overwhelmed by the information overload. Who is Gleim CPA Review Best Suited For? Gleim is the course for you if you are a self-directed learner who does not need a lot of video lectures to learn from (currently there are only limited amounts of videos). Gleim is best for the individual who is extremely focused and can process information, and not only process information but can do so by identifying what is the most important to retain. If you want a full video lecture series, then you may want to check out the other review course options available here. Gleim provides you with more than enough information and study material to pass the CPA exam. There is so much information provided here that you won’t lack for it. However, as stated earlier, that information can be to a fault as it can be a bit overwhelming. If you want a study guide that will provide you with the most information about the exam, then you may want to give Gleim a try. Q: Is there a guarantee for this review course? Q: What’s the difference between Traditional and Premium Gleim courses? If you’ve been out of the classroom for a while and want a personal counselor to help you throughout your studies, Gleim is a great option. Fast Forward Academy is the most affordable CPA prep course on the market. In fact it costs nearly half of what the top three ranked here do. If you are on a budget and can do without some of the other perks other CPA exam companies offer, then you may want to take a closer look at Fast Forward Academy CPA Review. Fast Forward Academy is relatively new to the CPA Review arena and the course is still proving itself. The student feedback is a bit mixed, but it’s definitely a solid course for passing the CPA exam with. Fast Forward is not a one size fits all type of course, since it actually caters to each student’s specific learning needs. As you progress through the course, data from your practice exams is collected and used to create personalized tests that target your weak areas. Even though Fast Forward Academy’s learning platform can be accessed from most mobile devices, including iPads, iPhones, and most Android phones, there is no dedicated app to make studying on your phone or tablet more streamlined and convenient. Other courses have awesome mobile apps that makes quick study sessions easy and simple. It helps to have an app that you can use to quickly use on-the-go. Fast Forward has a guarantee that grants you access to the course until you pass. If you don’t fit well with the course structure and want to use a different course, you’ll only have 30 days to figure it out in order to receive a refund. This isn’t a terrible deal, but some courses are a little more forgiving. Other courses don’t have a time limit on their refund and instead abide by a pass or refund guarantee. You’ll have to make sure you meet all of Fast Forwards 30 day refund qualifications too in order to get your money back. Who is This Review Course Best Suited For? If you are looking to cut through the process and make it as efficient as possible, this course has great tools to do just that. If you prefer to focus your studies on topics you are weakest in, rather than learning in a traditional method and going through all of the course material, then Fast Forward Academy may be a good fit for you. Fast Forward Academy has great technology baked into their course and is also one of the most affordable on the market. Yaeger CPA Review is a great course for you if you want the bare bones done well, not great. The customer support for this prep tool is excellent, and the flexible and customized format is a perfect solution for those who don’t fit into a specific learning style category. The Yaeger CPA review course is much more of an old school style of teaching. If you have a shorter attention span, you may get bored by the traditional lecture videos. They are structured very much like most accounting classes you probably had in college and move a little slower than an independent self-study type of person might prefer. The lectures include step by step instructions to ensure that you are clear about the subject material. Instructors work hundreds of multiple choice questions with you and help you navigate through those tricky problems which give you the repetition needed to be successful. Yaeger does have some of the best customer support available. Yaeger’s Live Instructor Hotline provides responsive personal support that is superior to any other review course I’ve used. Who is Yaeger Best Suited For? Yaeger is best suited for you if you need a little customization in your studying but don’t want to splurge on one of the more comprehensive and expensive options. The additional study help that’s offered is also a great way to get more out of your review. Get $140 OFF the complete Yaeger CPA Review Course! Yaeger CPA Review has talented instructors who will break down the content for candidates of all types. With excellent support and a number of add-on features, this course is a great low-to-mid level option. The lectures aren’t overly exciting, but they cover all the CPA exam topics in a palatable form. There is a time limit for this course, meaning no unlimited access. If you’re planning on studying for a longer period, this may not be the best fit. A: With Yaeger, you can access the materials via a browser that adapts well to mobile devices. The student portal can be easily entered via any mobile phone or tablet. The flashcards can be accessed via mobile devices, so you can take studying on the go! Q: Does Yaeger offer personal support with its course? A: Yaeger offers a variety of support services: there’s an instructor hotline and phone and email support. The instructors who field questions have years of experience in the industry. Yaeger is a great fit for students who want a comprehensive course for an affordable price. If you consider yourself a visual learner, you need a course that has the best video lessons. I personally would rather watch a teacher than try to understand difficult accounting concepts through readings, and I know many other students who are the same. 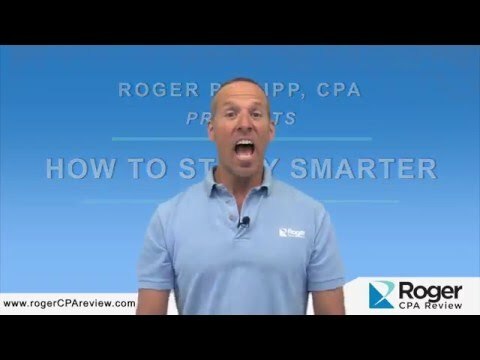 Roger CPA Review has some of the best videos in the industry with his super energetic teaching style. 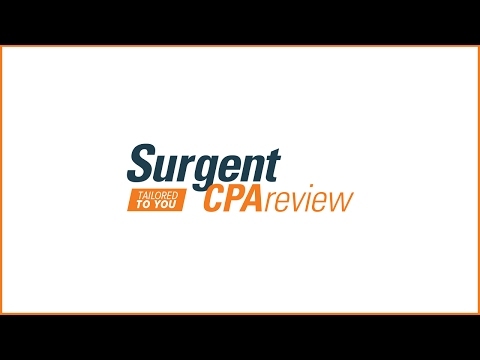 Another great course for video lectures is Surgent CPA Review, which can be attributed to having some of the most knowledgeable CPA test prep instructors out there. Since Roger is the most engaging instructor in the industry, Roger CPA Review is the best review course for video lectures. Multiple choice questions are the bulk of any CPA review course, as these mirror the exam content and are the best way to practice for CPA exam. The number of MCQs isn’t always the most important quality for these questions. You must also note that some questions are harder and more like the actual exam than others. So who has the most? Wiley has the most amount of questions. Surgent, however, has the most adaptive multiple choice questions that are specific to your level of knowledge, helping you prepare for the test. Wiley CPAexcel provides more multiple choice questions than any course, so you’re not going to run out of practice questions. Task-based simulations have become increasingly important since the changes made to the CPA Exam in 2017. Because of this new test that places more importance of simulations, CPA review courses now place more emphasis on these questions, ensuring you can pass after practicing the TBS section. So who is the best when it comes to TBS’s? Surgent and Wiley have some of the best CPA exam Task Based Simulations which include the most up to date CPA exam content covering the new content and topics on the CPA exam blueprints. While Surgent has extremely up-to-date materials, Gleim CPA Review has the most task based simulations for you to practice. Why would you pay full price for a CPA review course when there are tons of great CPA discount codes available! Save hundreds of dollars off all the most popular prep courses with these great CPA promo codes. But what if you can’t afford a pricey CPA review course? Both Surgent and Roger CPA Review offer financing options which allow you to make much more affordable monthly payments over a long period of time. Surgent offers the best financing options, with 0% and a low monthly rate thanks to an affordable price point. When it comes to student support, which course answers questions the fastest? How easy is it to use the student support software? Which course gives the most personal response? My favorite of all test banks is Wiley’s. You’ll get 4,500+ CPA Exam practice questions with detailed answer rationales and 160 task-based simulations, including new Document Review Simulations (DRS). Winner of the largest test bank on the market! With more than 10,000 exam-emulating multiple-choice questions and simulations, Gleim tests your knowledge and skills at the levels of the CPA Exam to ensure that you’re completely prepared. If you need to improve your CPA Exam score by 10 points, or if you simply want to solidify difficult concepts for final review, a solid CPA Cram Course is the best study supplement to get you there. A Cram Course is the best way to reinforce your understanding of the most heavily tested CPA Exam topics in a short amount of time. So which cram course gets the job done? Roger’s CPA Cram Course is conveniently offered in two formats. The Online Cram gives you two months of access from start of activation. The portable Flash Drive Cram option provides a full eight months of access time and offers the convenience to study without an internet connection. All practice questions covered during the lectures come with full, in-depth explanations. The course also includes Cram Textbooks that were written by expert CPAs alongside the famous Roger Philip. Wiley CPAexcel comes with more than 250 printed flashcards for each section of the CPA exam with their Platinum course. If you want, you can buy them a la carte to supplement your primary review course studies, which is a great way to boost your memorization skills. Surgent is one of the only CPA prep course offering a completely free Flashcard app for iPhone and Android, giving you the chance to study 2,200+ CPA exam terms and definitions on your smartphone. You should be taking advantage of this offer while it lasts! Roger has two iPhone apps available to students. The first one is a multiple choice app with over 3,400+ questions and the second is a flashcard app. This is the absolute best option for visual & auditory learners, in my opinion. Roger Philip, the instructor, is extremely animated and his genuine passion is obvious in his unique lectures. The Elite course also comes with an audio version of the CPA course. Yaeger CPA Review wins this title! Get all 4 sections for less than $1,200 with our exclusive CRUSH coupon code. Yaeger launched its new software platform and the organized, user friendly interface is truly impressive. This great all around course is the best bang for your buck! Wiley’s Platinum course comes fully loaded with over 12,000 multiple choice practice questions, that’s more than any other CPA Test Prep company. This course is ideal for those who don’t need to have their hand held while studying. Self-studiers tend to learn very well from drilling thousands of multiple choice questions, analyzing the answers they got wrong, and then doing more practice questions. Combined with Wiley’s Platinum course, Gleim’s CPA Test Bank is the ultimate combo for self-studiers. The benefits of being a CPA can be tangible and intangible. With the designation next to your name, you get a better career trajectory, a higher salary, respect from similarly accredited peers, and even the potential to secure corner office positions. Over the course of their careers, CPAs make $1 million more than their non-certified counterparts. The C-Suite is more likely to be made up of people who are CPAs than those who lack the title—executive search firm Spencer Stuart noted roughly 45 percent of CFOs have a CPA. The requirements to sit for the CPA exam aren’t especially varied from state to state, but there are definitely some outliers. Understanding these CPA exam requirements is important, however, as the first step to becoming a CPA is being able to sit for the exam. For the most part, you’re going to need 150 credit hours of accounting education, along with some work experience. There’s definitely more to the requirements than just 150 credit hours, but you’re going to have that as a basic educational foundation to sit for the exam. Applying for the CPA exam is a complicated process, especially given the date restrictions and many complicated requirements. Understanding how to apply will help you with scheduling and time management, so make sure you cover all of the bases. The general application process involves school transcripts, submitting the fee and application, receiving the ATT from your state board, getting your NTS from NASBA, going to the Prometric website to schedule the exam dates, and then finally studying and taking the test. The CPA exam application process is very specific and can be confusing, so make sure you follow every detail precisely. Finding the motivation to carry on with studying after a failed test is absolutely heartbreaking for many people. However, if you can make the proverbial light at the end of the tunnel a tangible goal or event, it will alleviate the pains that come with the process of starting over. Many people fail at least one section, so it’s certainly possible to keep studying if you know WHY you’re taking the test. Failing a section also doesn’t mean you’re not meant to become a CPA—many people who occupy corner offices of Fortune 500 companies have failed one section of their exams. The important thing with regard to failing is to make sure you don’t make the same mistake twice. Knowing your learning style is the secret to cutting hours and hours off of your studying time. Once you know what works with regard to specific types of prep tools—videos, audio content, or practicing by doing via CPA test banks or books—the whole process becomes easier and each minute of studying becomes more valuable. If you’re wondering what your learning style is, I recommend you check out the above post and determine exactly how you process and consume information. Not knowing how you learn the most efficiently before you invest in a CPA review course is basically burning money! The test is broken down into the quarterly fiscal schedule, like all businesses CPAs work for. So, for the first quarter, you get to take the test within the first two months and an additional ten days into the second month. Once this testing window is over, the schedule simply repeats that pattern. Basically, there’s a 20-ish day period per quarter in which you are not able to take the test. If you’re able to plan your studying and schedule your exams correctly, you’ll be able to knock out the CPA in about a year! In order to create a successful CPA exam study schedule, you need to make an honest assessment of how many hours you can devote per week. If you’re working full-time, you’re going to want to study a certain amount per day, with your longer sessions on the weekend. If you’re not working, you can devote larger chunks of time per day—the key is to keep a consistent level of studying, as you don’t want to do too much on one day and none on another. Knowing how to study for the CPA exam will be the difference between passing and failing each individual section. Your first CPA exam section should be the one that you feel most confident about passing. You got to hit the ground running!